The building structure was completed on time for spring-time. 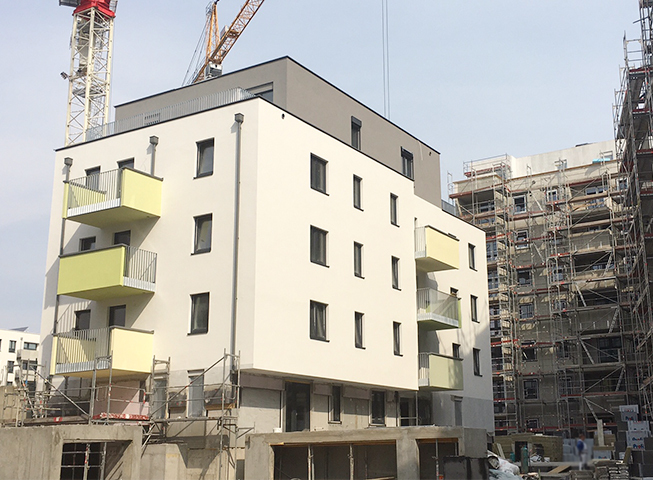 A building element of the first construction phase already made its appearance with a completed exterior facade. 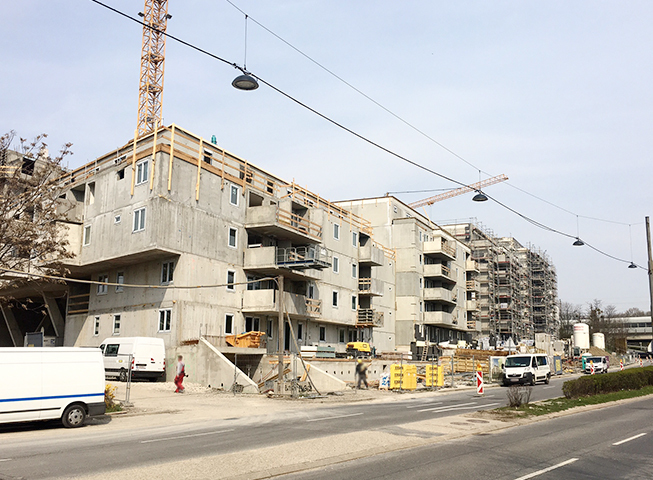 The facades of the other buildings are gradually being packed and plastered. 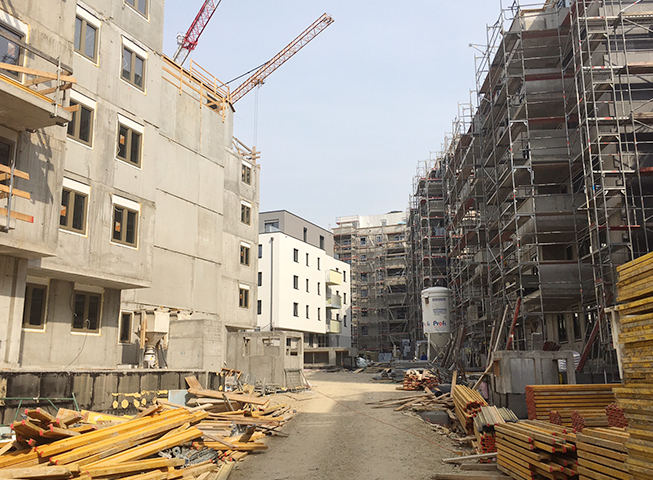 The bright, friendly facade, with the colourful play of the balconies, will then open up to the courtyard and to the Laaer-Berg-Strasse in the next few weeks.